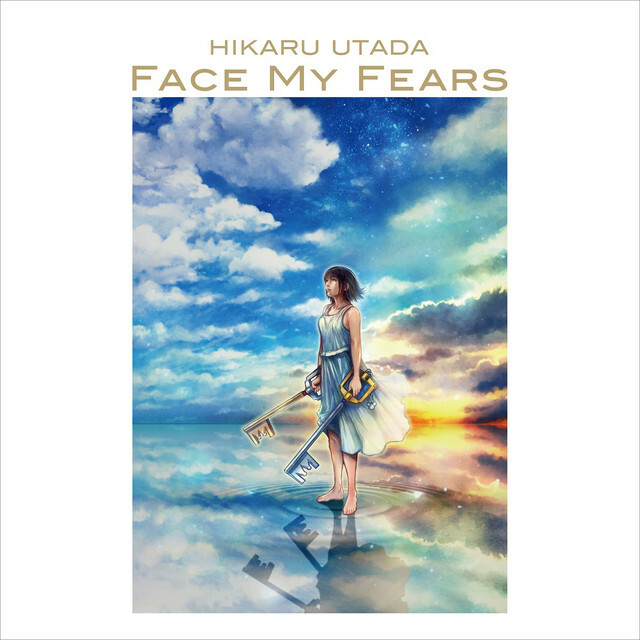 As previously reported, Utada Hikaru will release a new single, “Face My Fears”, on January 18. The song, a collaboration with Skrillex, serves as the opening theme for the video game “Kingdom Hearts III.” Today, as part of the 20th anniversary of her debut, Utada released more information about the single. The cover art for “Face My Fears” was released. It was created by Tetsuya Nomura, the director of the “Kingdom Hearts” series. Utada also released two trailers for “Face My Fears”, one in Japanese and one in English. Each features about 90 seconds of the song’s opening, along with visuals from “Kingdom Hearts III.” Check them out below, along with the single’s cover!